There’s a new word buzzing around the speech-language pathology world: Communication Partner. You may be wondering just what a “communication partner” is. Some people use this interchangeably with “caregiver,” but that’s where things get a little tricky. Here’s how we break this down. A communication partner (CP) is anyone who communicates with someone who has a communication impairment (family members, medical staff, therapists, friends, etc.). 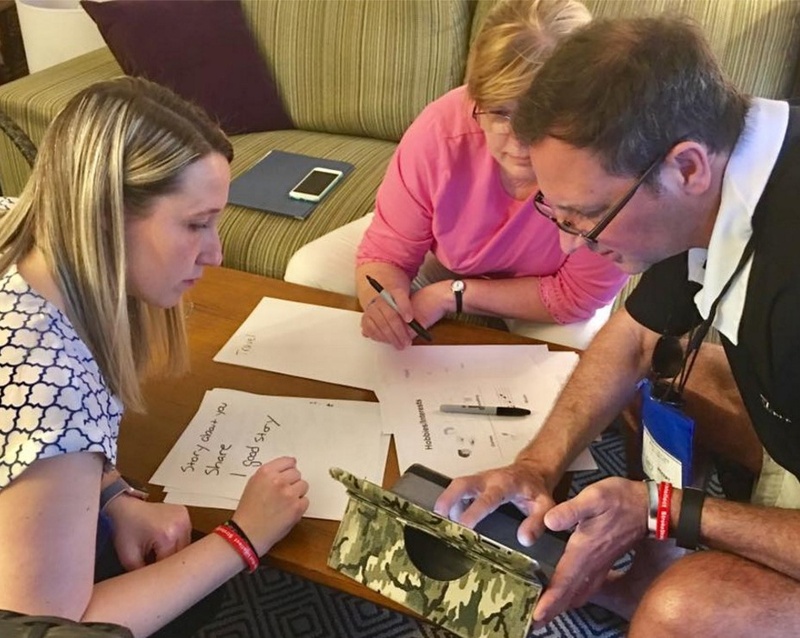 Since not all CPs are caregivers, we recognize that CPs likely do not have as much contact or conversation with a person with aphasia as a full-time caregiver or spouse. 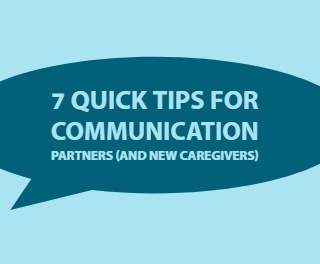 So we wanted to give a few tips specifically to those who are new caregivers and those who occasionally communicate with someone with aphasia, whether it be at the doctor’s office, the weekly Bridge game, or at family reunions. For example, one tip would be to use a normal tone of voice. Speaking loudly isn’t necessary for most people with aphasia, and less complex sentences may be easier for him/her to process and understand. A tip for helping the person with aphasia to communicate easier would be to ask "yes" or "no" questions. This will help you hone in on what your friend or loved one wants to say to you. Remember: as the communication partner, you are the one who can speak. Be patient and supportive when engaging with someone with aphasia. His or her speech is a struggle. Click below for your printable 7 quick tips…and we encourage you to hang them on a bulletin board or put them in your wallet so you have them with you. Here’s to more effective, supportive communication!